You are in for a treat if you are going to visit or plan on visiting Thailand real soon, because of the many great things to do and explore! 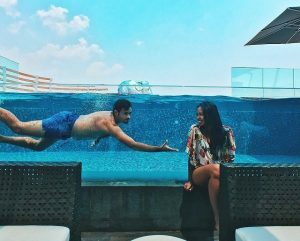 If you feel like going to diving trips around the country, Thailand is incredibly a great place for diving and snorkeling. Cheap and tasty food around every corner, which a lot of people believe that Thai food is one of the best! 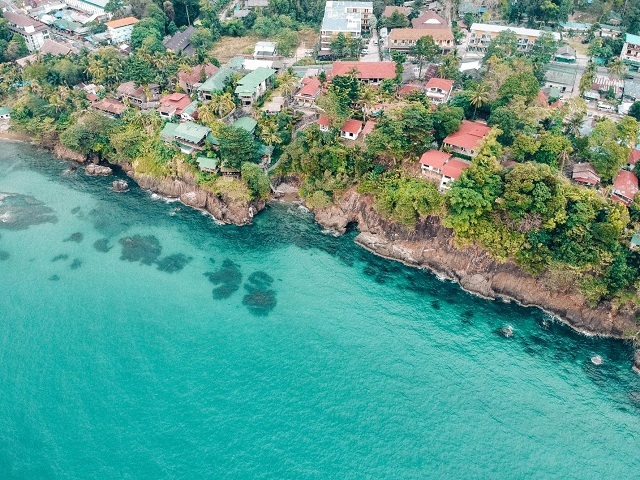 Overall, if you’re down to travel to Thailand, continue reading our favorite places to visit in Thailand! If you are from the US or from Europe, don’t forget that you need to have a passport with at least 6 months before expiry. For Thailand, you are eligible for 30 days visit, visa free, if you come by plane. If you come overland, it will be 15 days. You can check this link, if you need a Visa to visit Thailand as a tourist. There are three different seasons in Thailand. Between June and November is rainy season. Between November and February is the best season to visit Thailand, it’s not rainy, and it’s not too hot – so yes, fair weather I would say. Between March and May, the weather is very hot in Thailand. You will have to make sure you are bringing attire appropriate for cold weather . Ayutthaya is the capital of Ayutthaya Province. 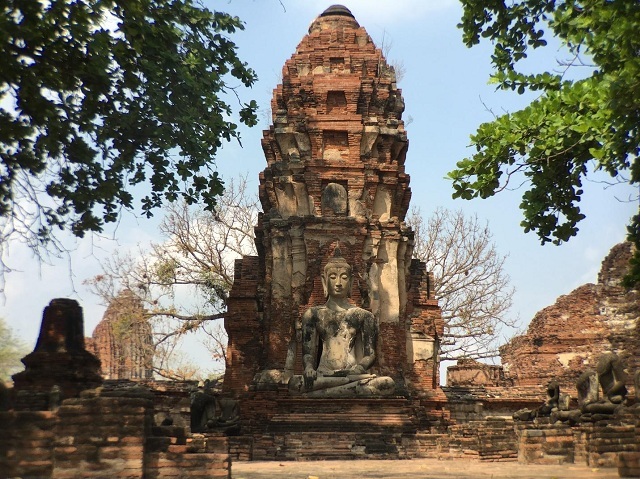 Ayutthaya was a kingdom from 1351 to 1767. They had several wars against Burma and in The Burmese-Siamese War (1765-67). The final result was the sack of Ayutthaya and the end of Ayutthaya Kingdom in April 1767. If you’re someone who haven’t travelled to Ayutthaya before, or just an ordinary train travel before, you might be wondering how it looks like. Train systems in Thailand actually work well, although it cannot be always on time, because of all the stops it has to do. Enjoy visiting the temples and riding a bicycle to move around! A mere 5-minute walk outside the hotel and you’ll see a local street food area. 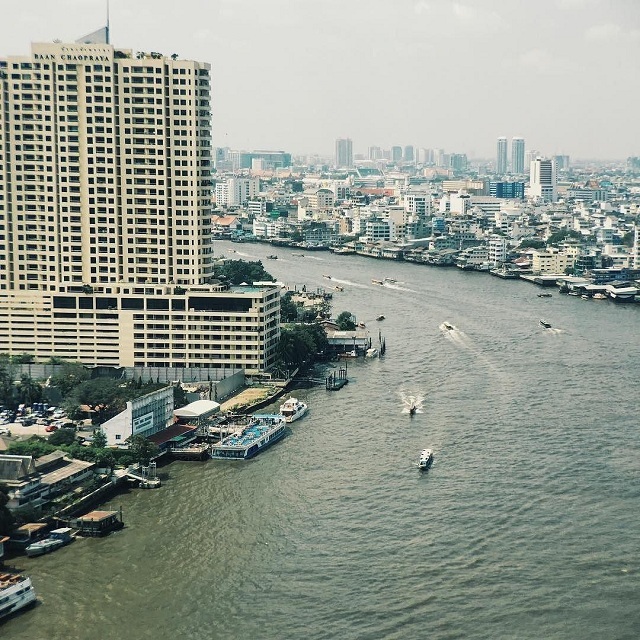 Good for when you’re craving the authentic street life of Bangkok. Street food, fried rice, noodles, the fresh fruits – you name it, they have it! There are even more local vibes when you go to Talad Noi, a small market where you can enjoy Thai food like locals do. You can also visit Khao San Road where you will find night markets and the most affordable places to stay in Bangkok. 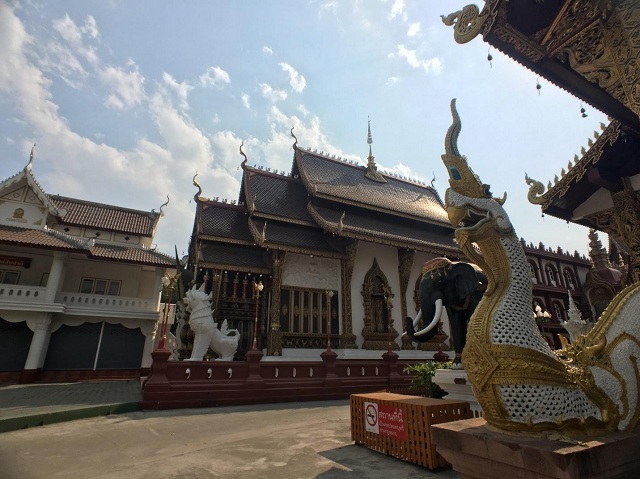 Chiang Mai is the largest city in Northern Thailand and the capital of the Province of Chiang Mai. We really loved the city and there are many plans to do: meeting people, nightlife, local food, day trips outside the city, visiting temples and exploring the night market. There are many temples and places to visit outside the city. Ao Nang is a very beautiful beach. It’s about 10 kilometers from downtown Krabi. From Ao Nang, you can ride the boat and reach 3 Thailand beaches, next to each other. Take the boat from Ao Nang to Ton Sai, then walk to Railey, then to Phra Nang. One way ticket costs 100 Bath ($3) each. 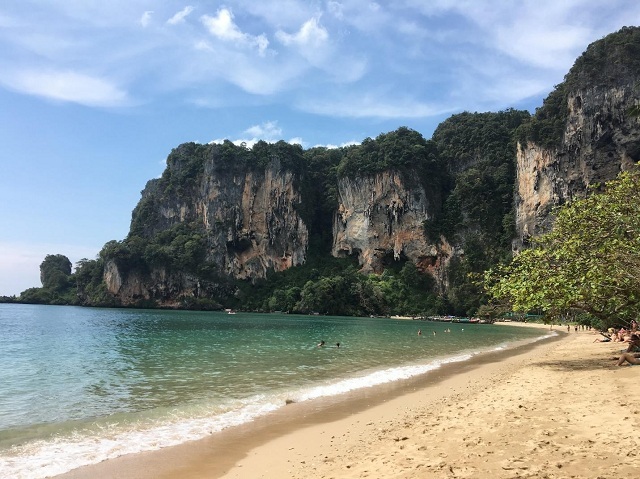 The Railey Beach is probably the most popular of all the beaches in Krabi. It was very very crowded when we got there. So many people lying down on the beach for a tan, and also a lot of people swimming in the green warm waters. When people plan a visit to Koh Phangan, one of the first few reasons that may come to mind is the Full Moon Party. Koh Phangan is very popular because of these parties. These events are usually full of people, with most of them backpackers who come to the island for socializing and adventure. 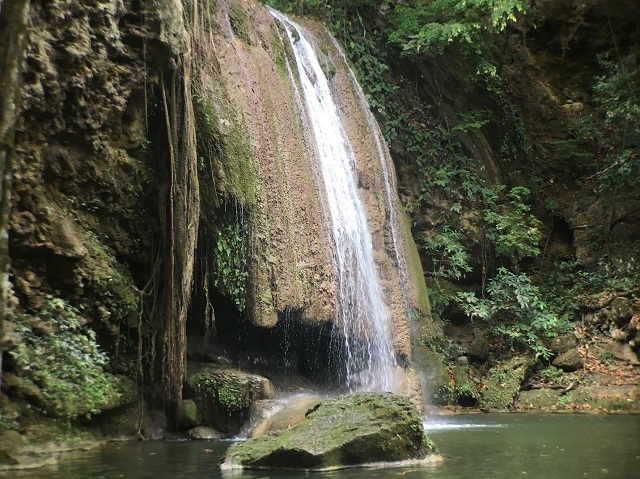 There are many places to visit around Kanchanburi.Our favorite is Erawan Waterfalls. It’s an hour drive from Kanchanaburi, there is no traffic and the road looks good! Erawan Waterfalls is very clean and if you go in a proper time to visit, you can get good pictures with just a few people there. We took a couple of hours visiting Erawan Waterfalls and we had time for swimming, fish massage and taking tons of pictures. It´s a perfect place to visit if you like to visit beautiful waterfalls. 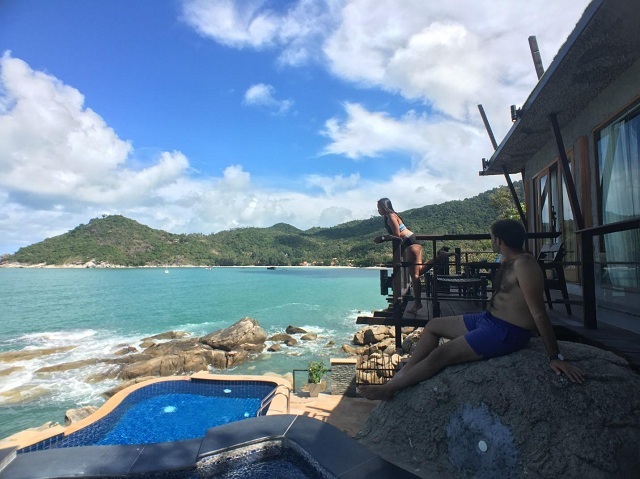 The island of Koh Chang is located in Trat Province which isn´t very far from Bangkok. It´s not that touristic as Koh Tao, Koh Samui and Koh Phangan. We enjoyed the natural colors and the ambiance in those places. The place was very quiet and you can relax in a hammock or relax in the swing. Sunsets at White Beach are really beautiful. © 2019 Awesome Thailand.com. All Rights Reserved.